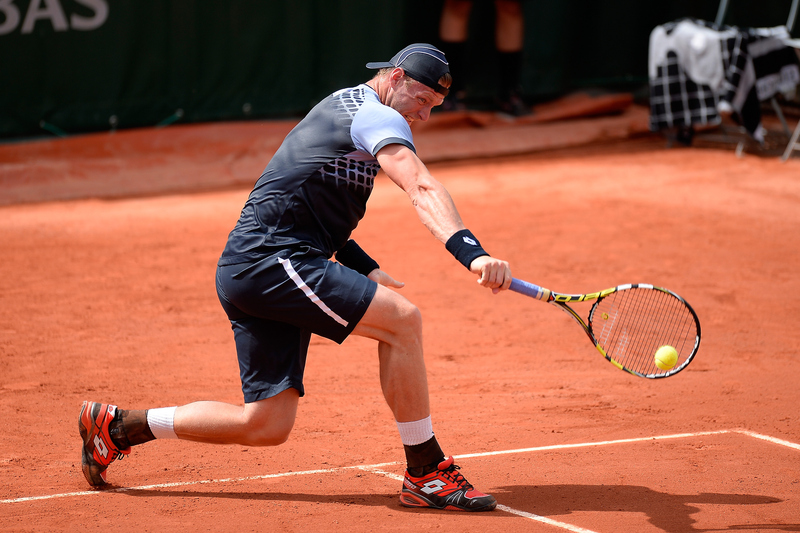 French Open Day 2: Agnieszka Radwanska and Feliciano Lopez bow out early in the first round, France's top names in Alize Cornet, Gilles Simon and others won for the home crowd, young American Frances Tiafoe made his debut and more results from Day 2. 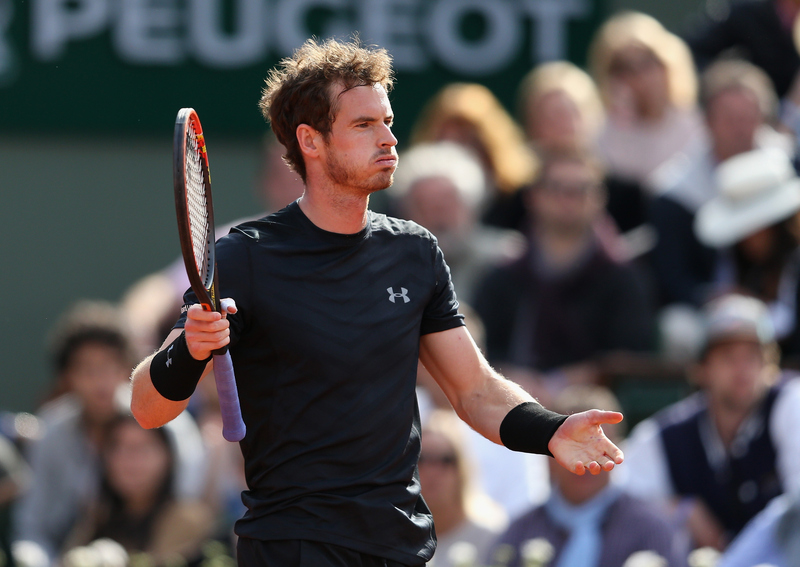 PARIS – Catch up on the results and news from Day 2 at the French Open in Paris. Sloane Stephens become just the second American to ever beat Serena and Venus: Stephens played a solid and steady match to earn a 7-6, 6-1 win over Venus Williams to advance to the second round where she'll play Heather Watson. 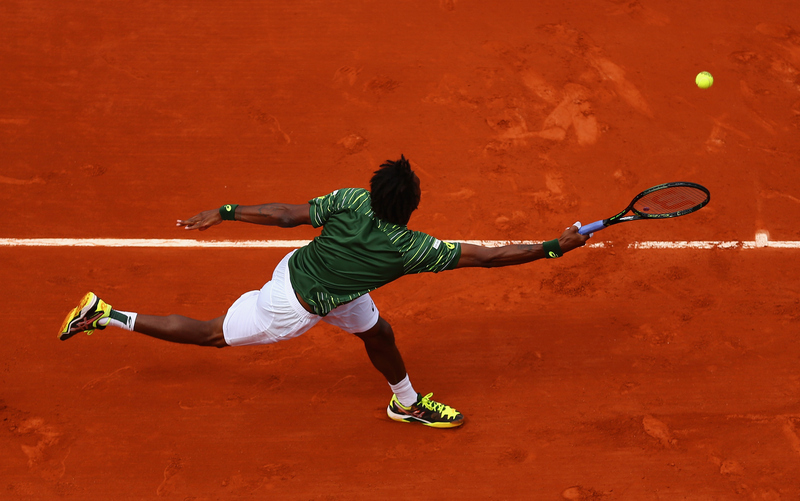 Stephens rallied from a break down in the first set and 1-3 down in the tiebreak. With the win she became the only American other than Lindsay Davenport to earn wins over both Williams sisters, having beaten Serena at the Australian Open in 2013. "I didn't really know what to expect," Stephens said. "Obviously she's a great player and a great champion. I knew I was just going to have to get out there and do my best. Obviously I have never played her in a real match. So I didn't know if she was going to boss me off the court or like how that was going to go. But I knew if I just stayed in there and played my game that it would be a good match." Williams declined to do her mandatory post-match press conference after the loss. The decision could result in a fine from the ITF. No. 14 seed Agnieszka Radwanska takes a rare first-round loss: Radwanska's 2015 slump continues.The Pole came into the French Open with a 33-2 record in the first round of majors and had not lost an opener in 24 majors. But she looked completely out of sorts against No. 83 Annika Beck of Germany, losing 6–3, 3–6, 6–1. Beck will play qualifier Paula Kania, who scored a mild upset of her own with a 5–7, 6–2, 6–4 win over Mona Barthel. ​No. 11 seed Feliciano Lopez is the highest men's seed to go down: Like Radwanska, the Spaniard isn't at his best on clay, but his 6–3, 7–6, 6–3 loss to No. No. 74 Teymuraz Gabashvili is a surprise. Lopez's loss softens Kei Nishikori's section of the draw. He was the highest seed after Nishikori in that eighth. Maria Sharapova and Victoria Azarenka cruise: Sharapova set aside any thoughts that her first round match might get complicated, beating No. 50 Kaia Kanepi 6–2, 6–4 in 85 minutes. Sharapova was booed off the court after she declined to do her post-match interview, explaining after the match that she's been under the weather. Sharapova shrugged off any concerns about her health for the rest of the tournament. "I mean, unless I'm really in my coffin, I'm going to be out there." Azarenka, who could face Serena Williams in the third round, looked incredibly sharp in her 6–2, 6–1 win over Maria-Teresa Torro-Flor. The tournament favorites have cruised: As it was on Sunday, the top seeds that you expect to take care of business on clay have done so. No. 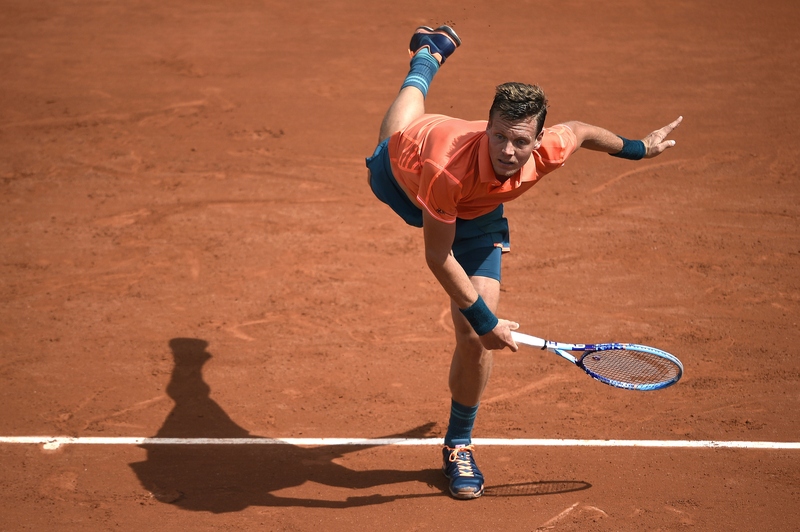 4 Tomas Berdych had no problems with Yoshihito Nishioka, winning 6–0, 7–5, 6–3. No. 8 Carla Suarez Navarro started her tournament with a quick win, beating Monica Niculescu 6–2, 6–2. No. 11 Angelique Kerber lost just one game to Timea Babos, and No. 28 Fabio Fognini dispatched Tatsuma Ito 6–3, 6–2, 6–2. 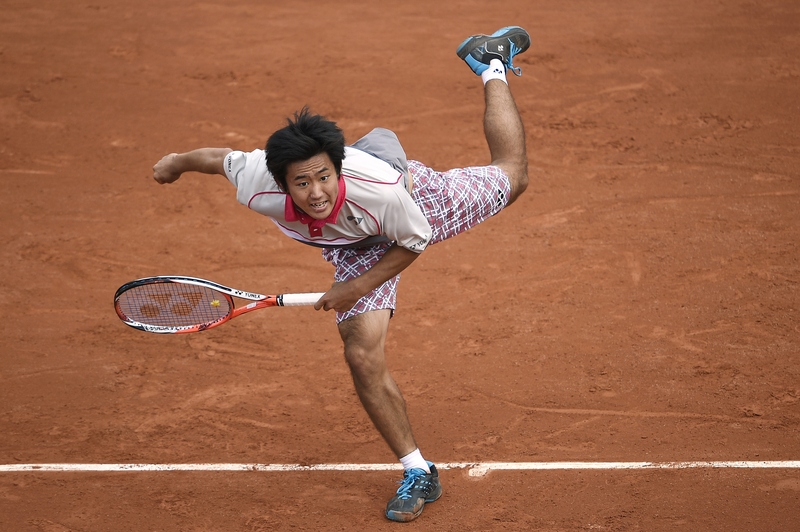 All in all it's been a rough tournament for any Japanese man not named Kei Nishikori. Japanese qualifier Taro Daniel lost 6-3, 6-4, 6-2 to No. 32 Fernando Verdasco. France's No. 1 rebounds on Court Philippe Chatrier: Just 24 hours after Caroline Garcia tearfully told reporters she couldn't deal with the pressure of playing on Chatrier, the French veteran set things right. Alize Cornet rallied from a set down to beat Roberta Vinci 4–6, 6–4, 6–1 to advance. "Caroline has a little bit less experience than me in Roland Garros," Cornet said. "Sometimes you can get a little bit impressed by this big court. 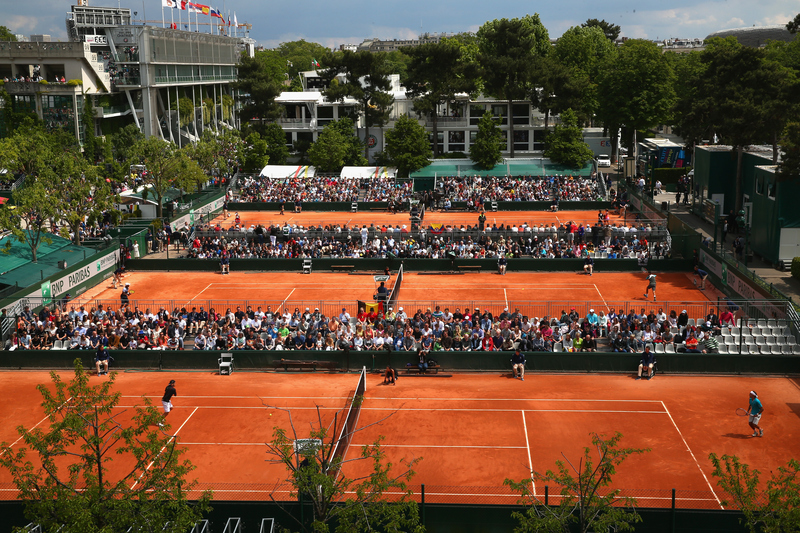 Actually, I love the Philippe Chatrier. It's my favorite court. I'm always very happy to step in and play the match. I was really glad that this court was chosen for me today." Overall it's been a good day for France. Gilles Simon followed Cornet with a 3–6, 6–1, 6–2, 6–4 win over Lucas Pouille, Benoit Paire beat Portuguese qualifer Gastao Elias in five sets, Virginie Razzano rallied from a set down to beat Veronica Cepede Royg on Court Suzanne Lenglen, and French wildcard Amandine Hesse, ranked No. 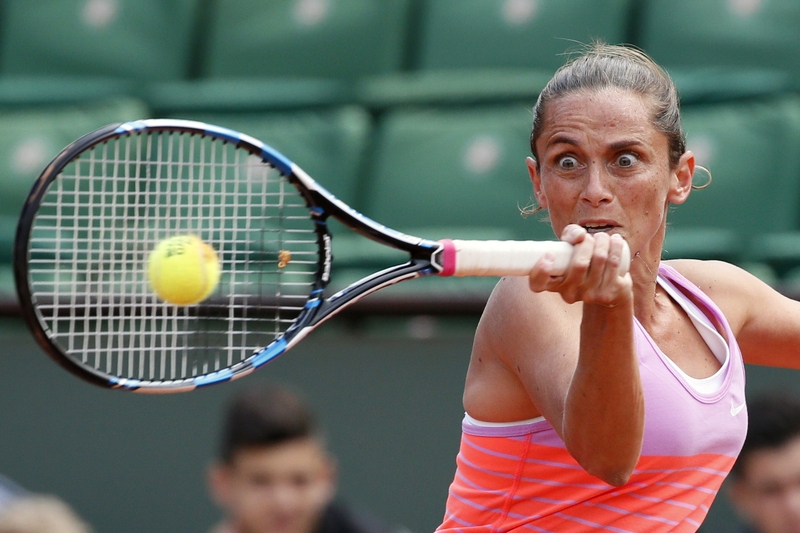 272, beat Jarmila Gajdosova 2–6, 6–3, 6–2. Tough day for the Americans: After Steve Johnson scored a big win on Sunday, the Americans went 1-8 on Monday, with the sole win coming from Stephens. In addition to Gibbs' loss, Madison Brengle went out quietly to No. 26 Sam Stosur 6–1, 6–3, Bethanie Mattek-Sands couldn't hold on to a second set lead, losing to No. 30 Irina Camelia Begu 6-4, 7-6, Donald Young fell to Santiago Giraldo 6-4, 7-5, 6-3, and 17-year-old Frances Tiafoe lost in his major debut 6–2, 6–1, 6–4 to Martin Klizan. 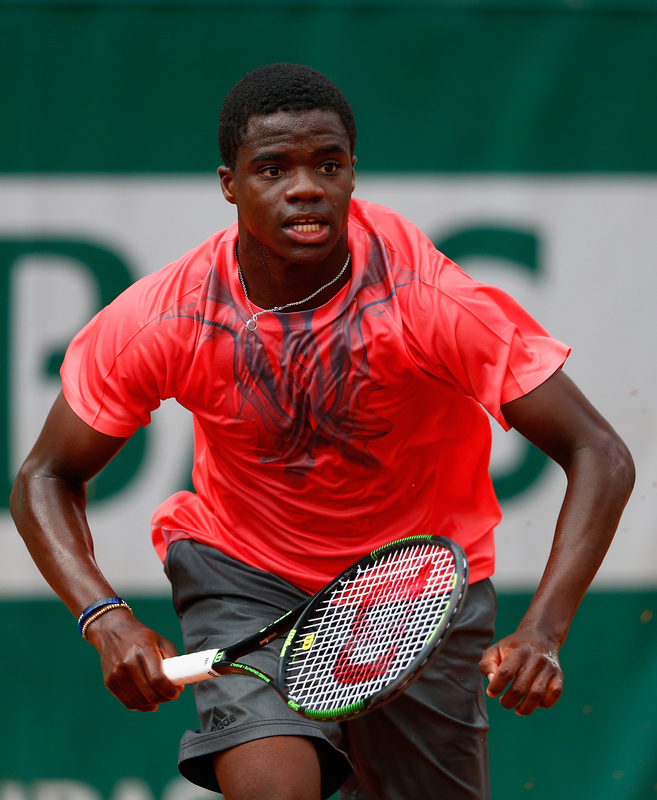 For Tiafoe it was still a debut to remember. "Definitely came out pretty nervous," a smiling Tiafoe said. "I handled it all right. Not great, but it's still a learning experience, having the opportunity to play here in the French." Sam Querrey also lost in four sets to Borna Coric and Alison Riske did well to force Sara Errani to a third set before losing. 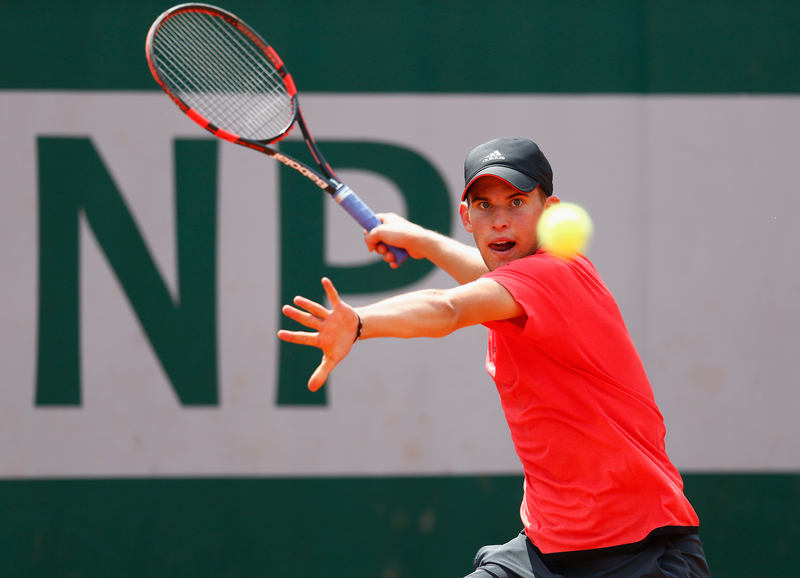 Young Aussies continue to impress: Australia a force on clay? Outside of Stosur that hasn't been the case in the past. But we could be seeing a change. No. 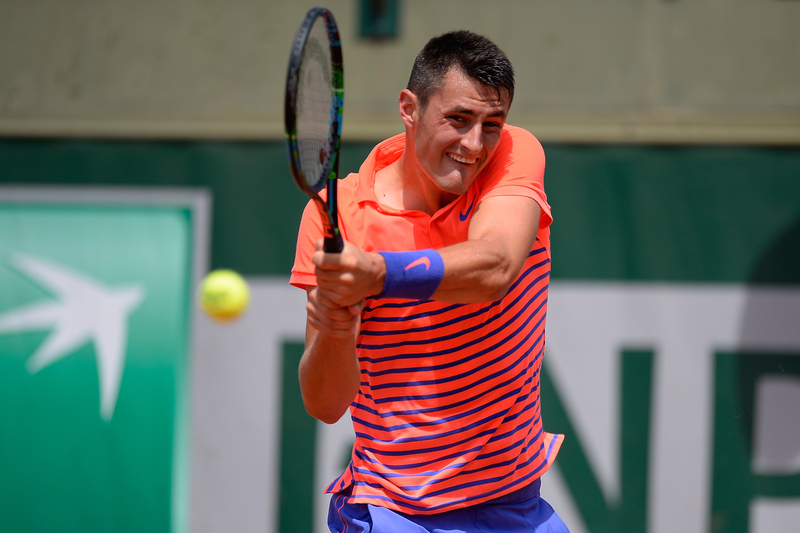 29 Nick Kyrgios rolled past Denis Istomin 6–3, 6–4, 6–3, Bernard Tomic got his revenge over Luca Vanni 6–3, 3–6, 6–3, 6–4, and Thanasi Kokkinakis overcame a slow start to beat Nikoloz Basilashvili 3–6, 6–4, 7–6, 6–2. Newly-minted Aussie Ajla Tomljanovic also scored a good win, beating her compatriot Casey Dellacqua 6–2, 6–2. Cameo of the day: The pigeon that just had to get in on the action during Stephens' match against Venus. Said Stephens: "I thought it was way closer to me than it actually was. So that was another [reason] why I screamed so loud. And I don't know, in the moment things just happen and it was just scary and I was like, ahhh and a scream came out. And then [Venus] probably wasn't happy because she probably would have hit an ace and it was just a weird moment." Radwanska is wearing sequins and losing to Beck. This is pretty much the closest she will ever be to being Beyonce.